How much is a subscription to M&B? A one-year print subscription (six issues) is $36.95 U.S., $57 Foreign, and $54.60 Cnd. (includes 5% GST). A two-year print subscription (12 issues) is $69 U.S.; $109 Foreign; and $107.10 Cnd. (includes 5% GST). A three-year print subscription (18 issues) is $101 U.S.; $161 Foreign; $160.65 Cnd. (includes 5% GST). We also offer digital subscriptions for $32.95 (1 year), $61 (2 years), and $90 (3 years), regardless of where you live. We offer an Early Bird renewal special, as well as a new subscriber incentive program. Back issues of M&B cost $6.00, any six for $30, plus shipping. 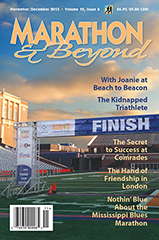 Call (217) 359-9345, (toll-free) 877/972-4230, or order your subscription online.